These heat sinks have profiles which are short enough to fit within the cases. 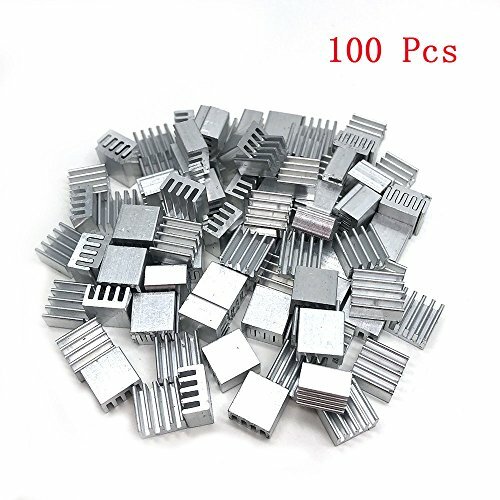 These cooler heat sinks can be applied on small electronics components: VRM, MOSFET, Regulators, VRAM, IC Chips, Stepper Motor Drivers such as those in 3D Printers, Miners, etc.Please check the specification table and make sure that the size of the heatsink fits that of your component. Maximize surface area Designed in contact with the cooling air. Use heatsink adhesive glue to install heatsink .Glue is not included here.